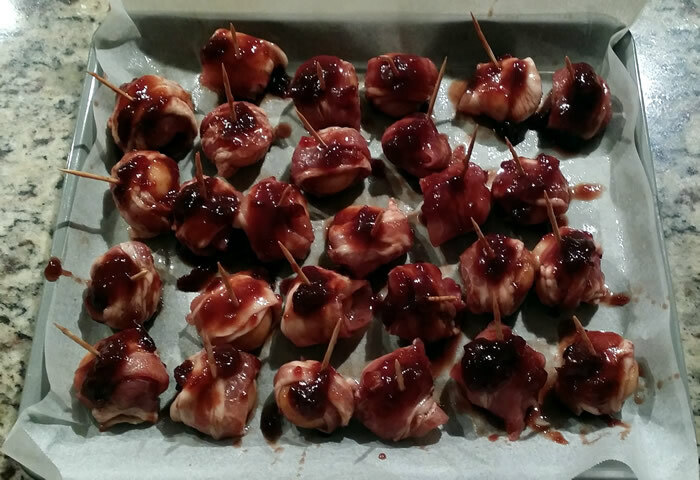 So easy to make and they taste amazing. 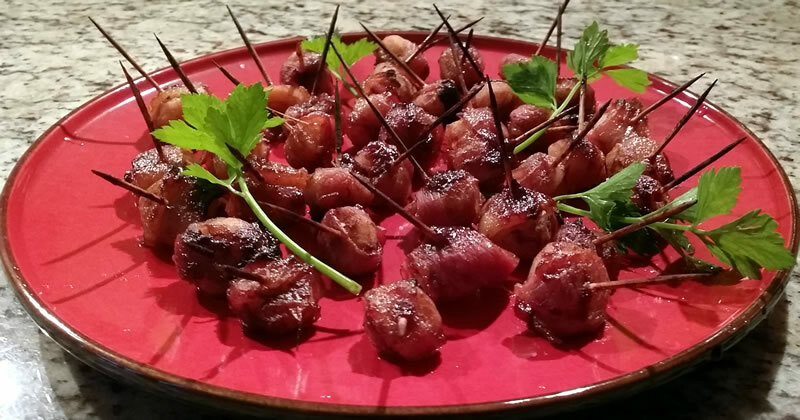 A perfect party nibble, the smokey taste of the bacon combined with the sticky sweet flavour of the sauce teams up perfectly with crunchy water chestnuts. 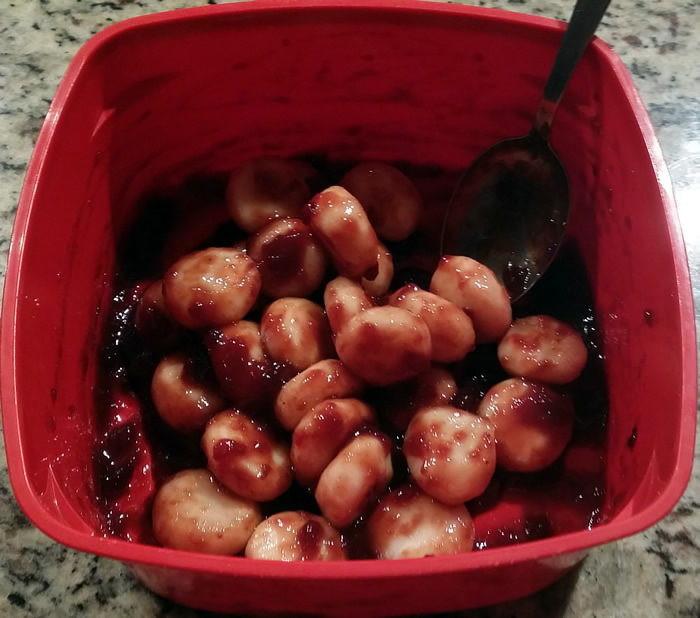 I’ve used homemade plum jam (which is sweet/sour), but ketchup or any other sweetish fruit sauce will do just as well. 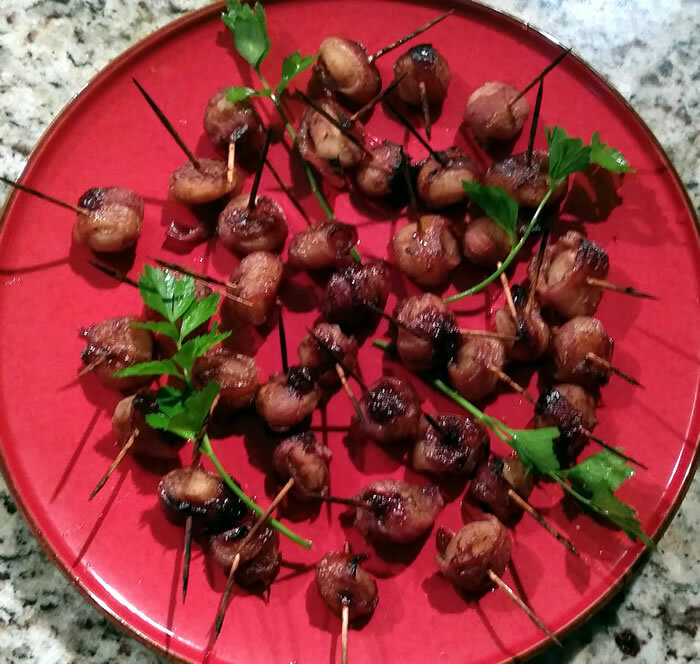 I did discover that the size of the canned water chestnuts can vary greatly, but it doesn’t matter as if the chestnuts are smaller, just cut your bacon smaller and you end up with more appetizers. 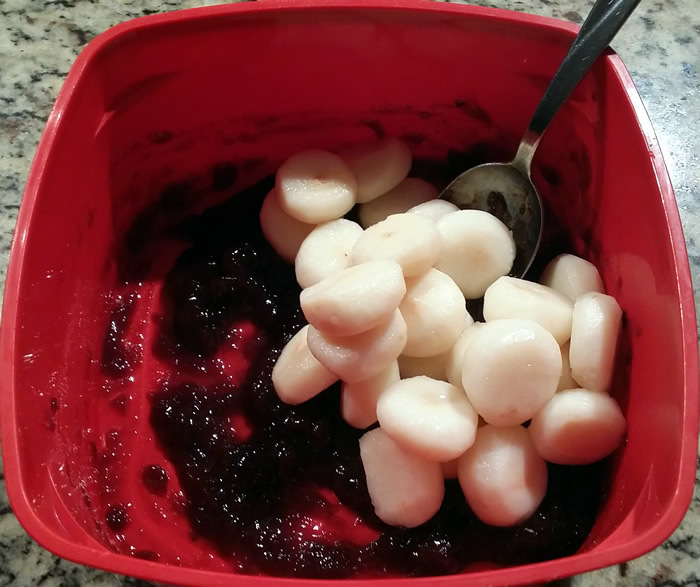 Mix together jam, sauce and garlic powder. Add water chestnuts to the marinade. Mix together thoroughly until chestnuts are well coated. 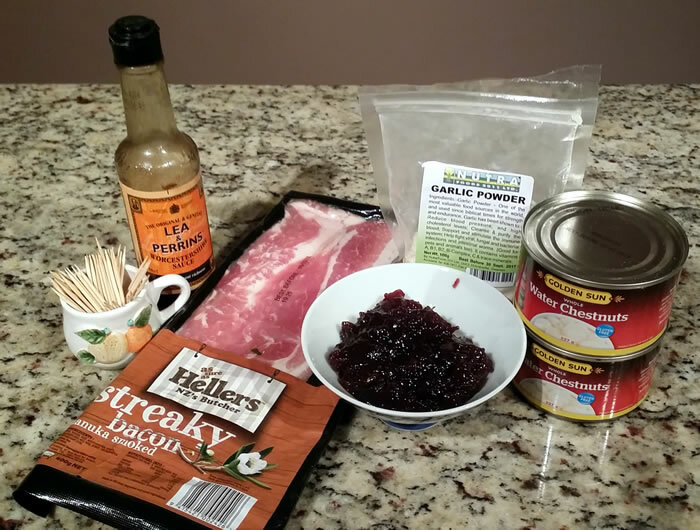 Cut bacon into strips so that it wraps once around each chestnut just overlapping and coat well in the marinade. 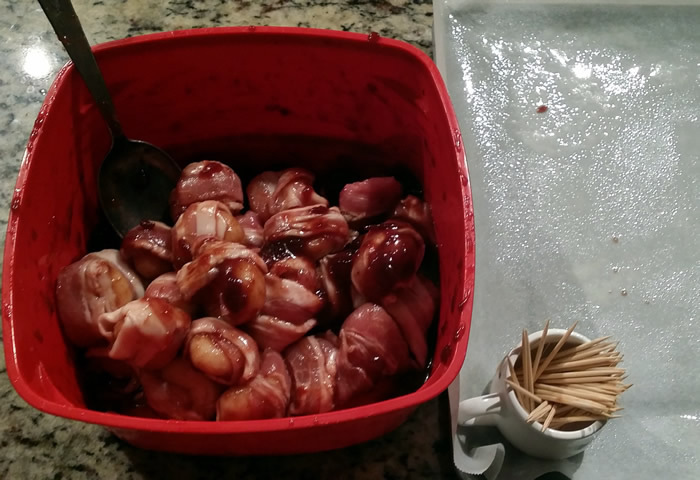 Wrap bacon strips around each chestnut. 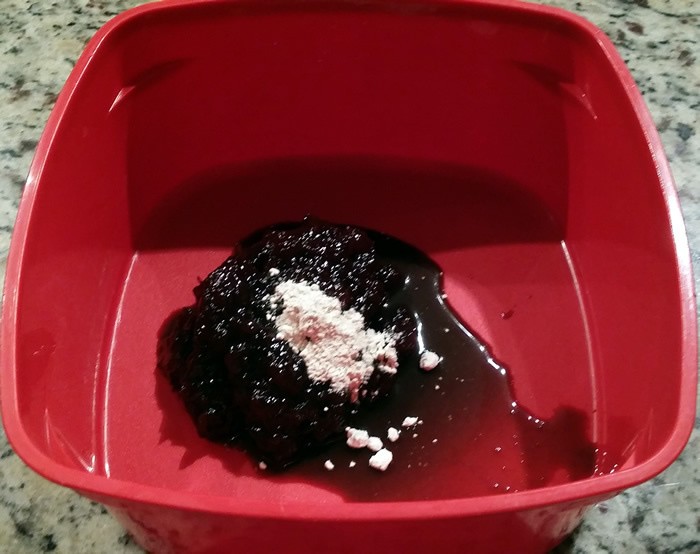 Secure each one with a toothpick and arrange on a baking tray lined with baking paper which has been sprayed with oil. 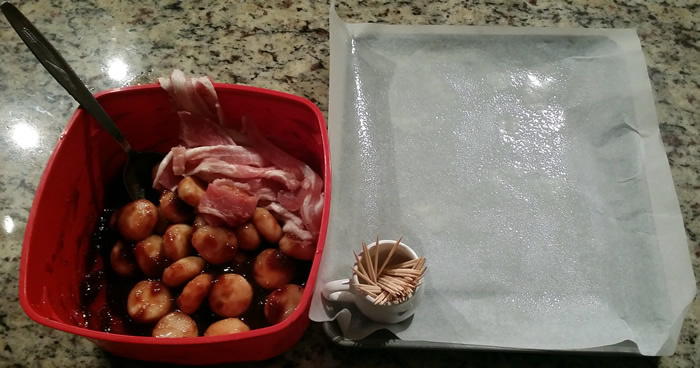 Use a teaspoon to put extra marinade on top of each chestnut before baking.